I've had some pretty good experience with other WD external portable hard drives before and picked this one up: WD Elements 1TB Portable External Hard Drive (WDBPCK0010BBK-NESN). 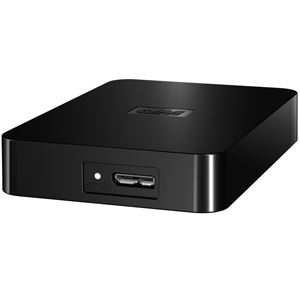 A simple 1 TB external hard drive with USD 3.0 and runs just off a USB cable (so no need to plug it into an AC wall power outlet) is exactly what I was looking for, and this is exactly what it is. Plugged it into Windows 7 and 30 seconds later (after installing some drivers) it was up and running ready to store backups of your files. Simple and works right out of the box, just the way I like it. However, there are a couple of things to note...The drive uses a strange (non-standard?) plug that I haven't seen anywhere else. If you have other cables lying around from other devices, chances are it won't fit this hard drive. Also, from what I've read the cable can get loose over time, which effectively means that your hard drive will become useless if the cable is not reliable. They may have fixed it by now, but if not it's something to be aware of.